I love finding old family recipes. This day and age, most everything is digitalized, so reading handwritten recipes make me smile. Plus, I often find the simplicity of older recipes taste better than the overly complicated new recipes. 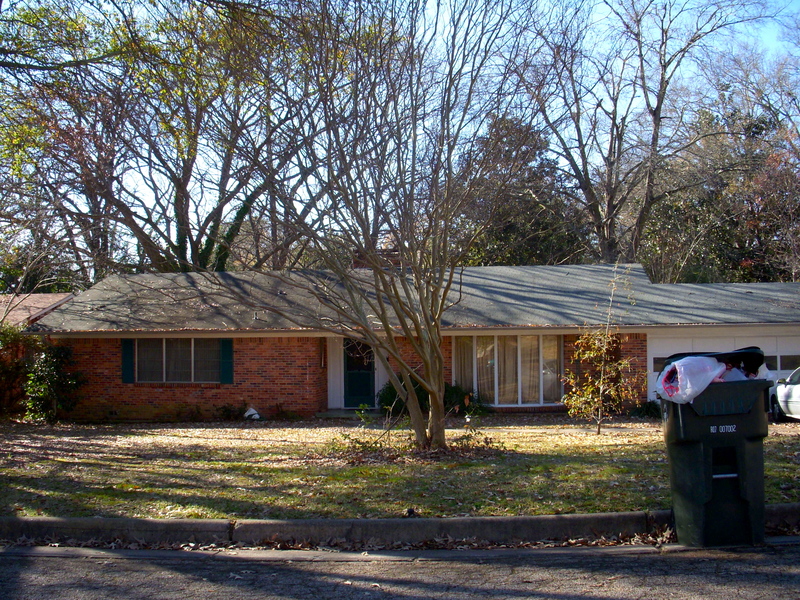 Nila and Poppy’s old house in Tyler. Please excuse the trashcan and messy leaves. This photo was taken about 5 years after they had sold their house. After making the drive from Dallas to Tyler, Mom and Dad would walk through the door to Nila and Poppy’s house and be greeted with either this gingerbread or Nila’s famous coconut cake sitting atop the dryer. I guess Nila placed the cake there to keep it warm…. good idea if you ask me! 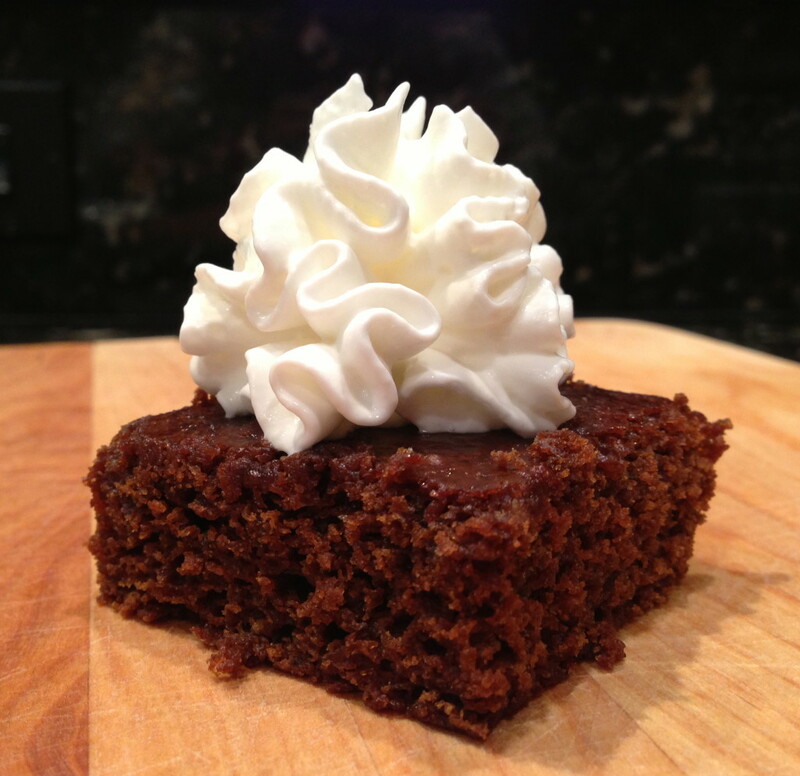 This gingerbread cake is definitely one of Poppy and Dad’s favorite desserts. Nila got the recipe off the back of a Steen’s Syrup jar, and you can’t beat it. The flavors from the thick, natural molasses, ginger and cinnamon make for a perfect gingerbread snack cake that’s good at any time of the day. I like to add a dollop of Cool Whip or Reddi-Wip for extra-creaminess. Pour into a greased and floured 9 x 13-inch baking dish. 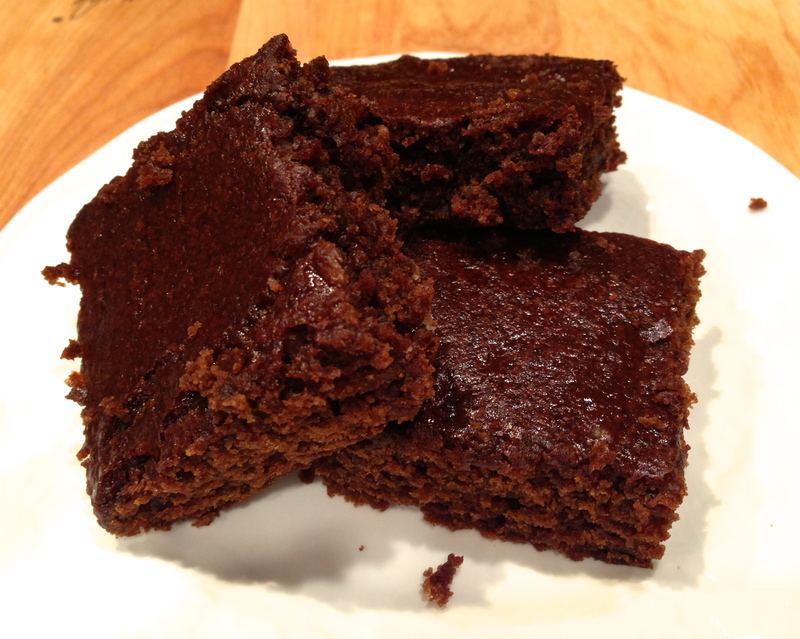 Bake for 45 minutes or until toothpick inserted into the center of the cake comes out clean, or with only a few crumbs. 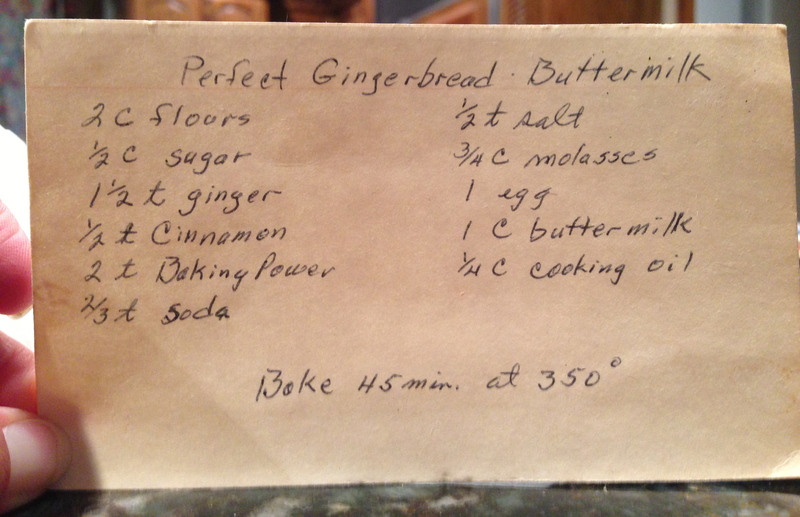 One Response to "Poppy’s Perfect Gingerbread"
What a neat story! This looks delicious.